Dr. Jenő Kamuti (Hungary: born September 17, 1937, in Budapest) is a former Hungarian foil fencer, who was several time world medallist. 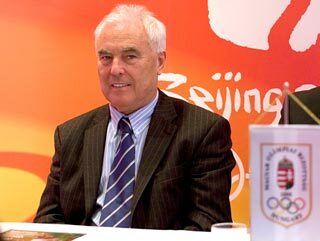 Since 2000, he has been the President of the International Committee for Fair Play. As an athlete from another sport, fencing, I begin to gradually discover the world of judo. 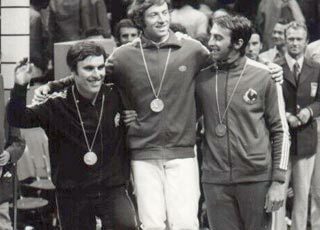 For twenty years, from 1957 to 1976, I participated as a competitor at the fencing World Championships and to five Olympic Games. Fencing has taught me and showed me that, on the trail, one must behave in an ethical manner, that when you are touched, you must announce it even before it is reported by the referee, and that a defeat must be accepted with dignity. In Judo, as in fencing, loyalty, discipline and respect for the referee and the opponent are among the unwritten rules. On the mat, one needs an opponent, because without him/her, nobody can fight for victory. Therefore, the opponent must be respected because without him/her, the victory would not exist. It is this mentality and these virtues that make the winner a true champion. Last summer in Paris, I met such a champion in the person of Ilias Iliadis (GRE), who, having just completed his victorious action, has already raised the arm of his opponent to show that the honest struggle is more than victory. This is fair-play.